I am looking for info/value for an all steel Peerless rotary mower. there does not appear to be very much information on a Peerless reel mower so it is possible it was made by a different company and the Peerless was only made for a short period of time. 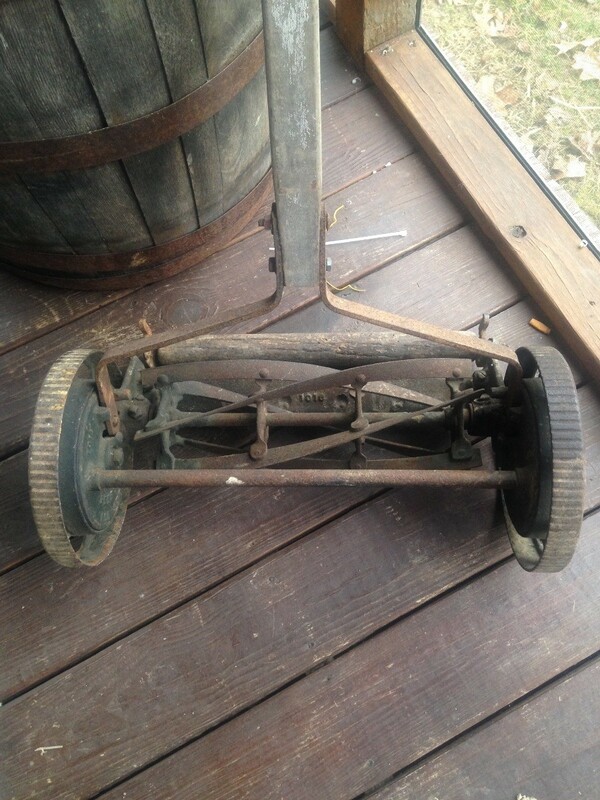 If doing research you may have better luck looking for vintage push or reel mowers. Reel mowers do occasionally sell on eBay but most sales are for "pick up only" as this mower would be very expensive to pack and ship. This statement "pick up only" just means that sales are usually limited to the sellers immediate area/location and the buyer will have to go to the sellers location to pay and pick up the mower. Usually listing an item like this on your local Craigslist would actually reach more people than listing on eBay. Potential buyers like the idea that they can see the item before paying out their money - instead of site unseen. There are several sites that have information about older mowers but none of them offer value information. None of the sites I usually use had any information on a Peerless mower. Here is a link to push/reel mowers presently listed on eBay which can give you an idea of what sellers are ASKING for their mowers. Very few actually sell for these prices unless it happens to be a collectors item. This type mower may have only 3-4 sold listings in a 6 month period. If the mower looks good and is in "working" order you may have some luck placing an ad on your local Craigslist. Maybe start the price as $95-$150 and see if you receive any calls and if not you can always lower the price in small increments.